Access to each cottage is either from a key held within a Keybox by the front door or by a combination doorlock. The combination code will be emailed to you upon payment of the balance of the rental due. Check in time is from 4pm on day of arrival. Rentals terminate at 10am on the day of departure. Keys to be returned to the Key box and the combination code scrambled. Failure to vacate the property by this time may result in further charges. A deposit equal to 25% of the total rental cost is to be paid at the time of booking. Unless you have booked through Visit Bath and a 10% deposit is taken. The balance of rent is due at least 4 weeks before the beginning of the rental period. Please call us on 07557 770229 or 07919 444962 between 8am-6pm to make your payment. Failure to pay the balance on or before the due date shall be deemed as a cancellation on your part and any deposit paid will be forfeit (unless otherwise agreed). In the event that a booking is made less than 4 weeks before the commencement of the rental, full payment is required at the time of booking. Visitors are asked to keep the property in the same state of repair as when they arrived. In the event of any breakages, damage or extra cleaning required after the property is vacated, we will notify you within 2 weeks of any costs incurred and charge these to the card details provided at the time of booking. The number of people staying must not exceed the maximum number specified for each cottage. If we become aware that the number of people staying exceeds the maximum number, we reserve the right to ask the entire party to vacate the premises. In these circumstances there will be no refund for unused days. A charge of £50 plus VAT will be made for any lost keys. The flats are cleaned prior to arrival. Linen and towels are changed with every clean. If a cancellation notice is received up to 4 weeks prior to the booking, all payments will be refunded, minus the 25% deposit. Cancellations made with less than 4 weeks notice will be subject to the full cost of the original reservation. We therefore recommend cancellation insurance. If we are forced to cancel your booking for reasons outside our control we will endeavour to offer you alternative comparable accommodation at no extra cost to you. Should we not be able to provide suitable alternative accommodation, we will reimburse any sums already paid by you. Manor Cottages Bath will be under no further obligation or liability for any losses or expense arising from the cancellation. There are no further circumstances for which Manor Cottages Bath will be liable for a refund. Employees and Agents of Manor Cottages Bath shall be allowed access to the property at all reasonable times for purposes of inspection or to carry out any necessary repairs or maintenance. In the event of a complaint please call us on 07557 770229 or 07919 444962. Please kindly note complaints are more easily resolved while you are still in the property. 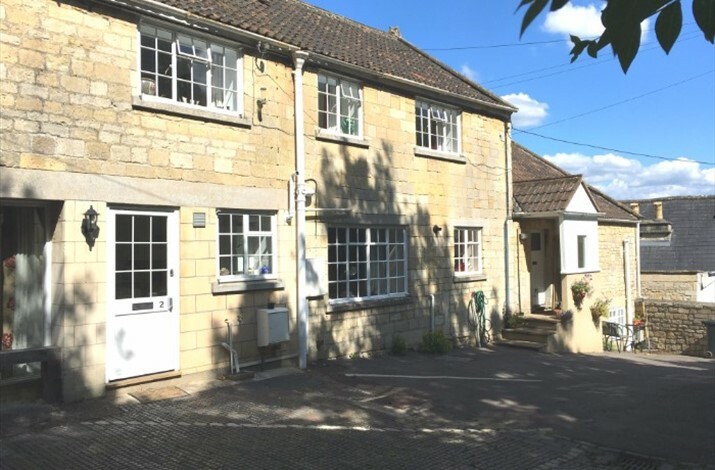 Manor Cottages Bath, its Employees and Agents do not accept third party liability in respect of breach of contract, negligence, misrepresentation or otherwise. We cannot in any circumstances accept liability for any personal injury, loss of life, damage, loss or accident to personal property. Visitors are advised to ensure their own insurance covers any loss or damage to personal property during their stay and to ensure adequate personal and travel insurance is taken out . We are sorry, but pets are not allowed to stay in the cottages. Unfortunately all our properties have stairs leading to the bedroom areas. We therefore advise that there is no wheelchair access to the cottages. There is a no smoking policy throughout our properties.